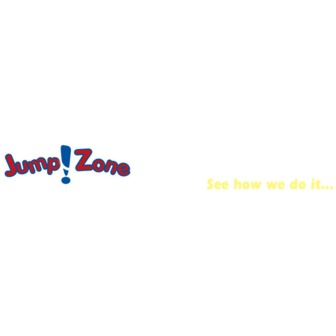 Jump!Zone is a place where children and their parents can enjoy active, free play on massive inflatable play structures such as obstacle courses, slides and bounce houses. 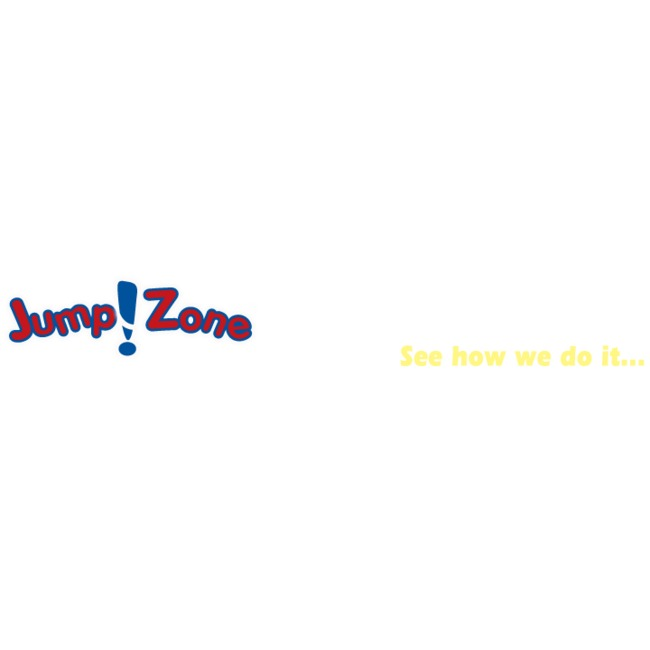 Jump!Zone provides children and indoor playground where they can climb, slide, jump, race, and play with their friends and parents uninhibitedly. 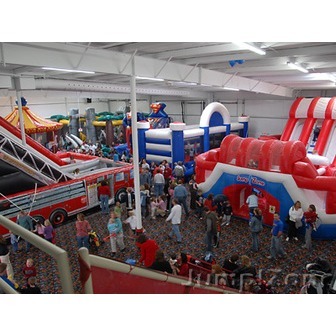 Parties typically involve a period of time to play in the massive indoor arena followed by a party in a private room or area. Jump!Zone is unique in the market because it offers one of the largest arenas available to your party with 6 or more inflatables for your guests. We achive this by sharing the arena with 1-2 other parties whose times are staggered differently than yours. You appreciate our full attention when you and your guests arrive and the use of your very own party room the minute you arrive. No more putting your party goods in a box or cart until you gain access to your party room. You will also enjoy your time during your party knowing that Jump!Zone typically does not open public visitors during the heavy party times on Saturday or Sunday for the main inflatable arena. This provides you comfort in knowing your kids are playing with just 1-2 other private party groups in the largest inflatable offering available and not dozens or hundreds of individuals patrons in an uncontrolled environment like popular pizza/video game restaurants. If a Jump!Zone is open to the public for general open play sessions during the weekend, they have a separate arena and entrance just for them and will not be involved with your activities.